‘Tis the season to be reminded that quality time with your loved ones are the best gifts you can afford, which no amount of money can ever replace. Cheers to all the old souls who will never be too old for log cakes, stories by the fireplace, midnight cookies and milk, and all of Christmas’ novelties. Dedicating this little one-take dance piece by SSENZE (filmed with the help of Marvin PD-nim!) to everyone out there who’s never stopped believing in the magic of Christmas. 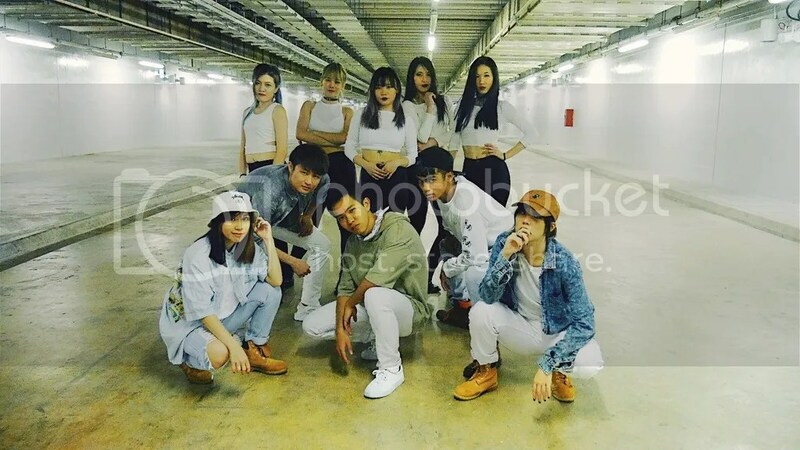 It began when three old NUS Dance Blast-ards, a SMU Eurhythm-ixer, and two energetic younger ones who’ve been in the scene for some time, came together to join the SGKPOPCON dance competition, made it through the auditions and eventually won the Singapore round. Although we didn’t make it through the third global selection round, this dance journey has been amazing with a crazy enthusiastic bunch. I mean, where do all your energy come from, after a long day at your respective workplace/school? Clearly my old bones have lost some of their vitality since I’ve quit as a dance instructor. The team’s commitment has pushed me to go beyond my comfort zone, so much so that I look forward to learning from and dancing with them. Thankful for priceless memories from countless post-practice late-night suppers, filming our audition video late in the night, and spending the night at the airport for our final rehearsals. We weren’t given the chance to compete in Korea as this year’s rules and conditions were changed. Nonetheless we did gain the company of newly-found friends (also concert tickets, a trophy, and Shilla duty-free vouchers) and Xin Wang membership points from post-rehearsal suppers. Our journey didn’t end! We’ve made some dance covers together as a crew, with more in store in the days to come. Here’s a peek into some of our recent dance covers. Enjoy ❤ and subscribe if you do, by any chance, happen to like watching us 🙂 Psst…please say that you cannot tell that when we first began as a crew, we had close to zero chemistry. A familiar song was playing at a cafe I dined at for brunch, which brought me back to 2011. Last night, I chanced upon someone I haven’t seen or heard from in a long time, and these memories came back to me in a flash. I still miss this part of me.